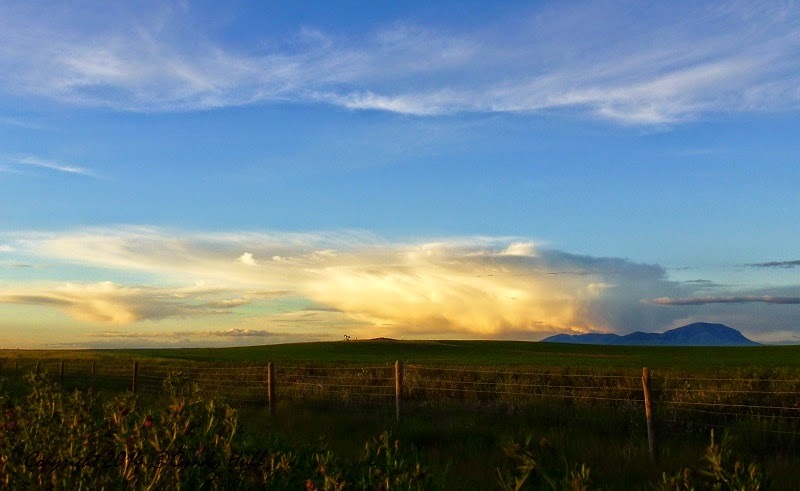 For a couple hours of driving, I marvelled at the progress of this cloud formation, then finally stopped near Sunburst, Montana, to snap a photo. As I crouched, the rain-freshened scent from the blooming alfalfa stirred childhood memories. A small field between our house and the road sometimes blossomed bright and high with purple alfalfa. After it was mowed, it became home to pick-up softball games with our family or my brothers and their friends. Despite being at the you’re-too-little stage, I landed a pretty important job: Speedy Gonzales. My mum was a solid hitter, but asthma kept her from running. So my job was to be fleet of feet. Nice work if you can get it, I always thought.